<em>This review was written by my instructor, who is a bit of a whizz at footlocks. Before I start my review a little about myself, I am a brown belt in BJJ under Darren Yeoman at Fightworx Academy in Taunton. In my training I have been lucky to train under instructors who have embraced leg locks (training in Sambo as well as BJJ) and they have always been a useful additional to my game. In the spirit of being open I have been fascinated with leg locks from the first time my instructor showed me a simple straight ankle lock about a month into my training. My unhealthy obsession with them has seen me trying to perfect many an obscure technique that I have acquired from various sources. Leading to the disturbing sight of all 130kg of me trying to pull off an Inamari Roll in our Friday Open Mat. I’d like to say I looked just like the great man himself but thats probably way off the mark. Before watching I had some hopes for this instructional as going to this years UK globetrotters camp I was really impressed by the lesson on half guard that Oli Geddes gave. I was also hoping that this instructional would not be like many others I have seen that start with you mysteriously already having the foot already caught with no set-ups on how you actually ‘catch’ the foot. The First thing you will notice is that the instructional is well shot and the camera work allows you to see the techniques, which in my opinion is often a failing of many instructionals that look like they’ve been produced on a smartphone by the instructors pal rather than a professional production company. The instructional starts with the first section looking at how to finish a foot lock and a concept called ‘The Shell’. This was an excellent place to start and addressed many of the issues that I see when rolling with people who do not train leg locks as a regular part of their game. In particularly keeping the foot on the hip to stop the person easily escaping. It also introduced turning to the knees which is often used in Sambo and is an excellent way of finishing the hold. Oli then introduces us to the outside hook ankle lock which I’d personally not seen before. This is where I really started to appreciate his teaching style and method of breaking the technique down. Small pointers on how to move into the position and when momentum is needed, for me these pointers are what helps turn a technique into something that will be used on the mats. Standing Ankle Lock is a position that I regularly find myself in and generally sweep my opponents from it, this if I was being honest is sometimes due to having big strong legs as much as good technique. Foot lock Mastery has shown me some excellent options with one the Cross Sweep being an new option that has become one of my new go to techniques. When Ollie moves to explaining the Overhook X Guard there was one pointer that showed the quality of the instructional, which was the appreciation of where players may reap the leg if they not aware. These small pointers are why players who use or want to start using leg locks need to buy this instructional. The final parts of the instructional looks at entering foot locks and defence against the ankle lock. The entering leg lock section reinforced my view of the instructional, as I explained at the beginning of the review often instructionals have the professor already having the foot with little explanation of how they actually captured it. Footlock Mastery gives you many well explained options from various positions that I’m looking forward to trying at the academy. The escapes were effectively explained with reasons why certain actions are used and what they are countering. An often neglected element of instructionals this was a great way to finish an excellent instructional. In conclusion I would highly recommend Foot lock Mastery to readers of Attack the Back. The techniques are well constructed and link together nicely. There are some excellent pointers that allow them to be used effectively and there is something for all belt levels. 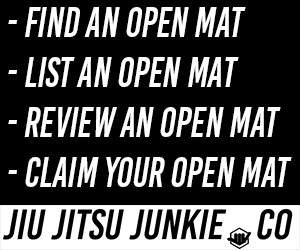 My best advice is go to https://footlock-mastery.myshopify.com/, download a copy and start tapping your training partners.